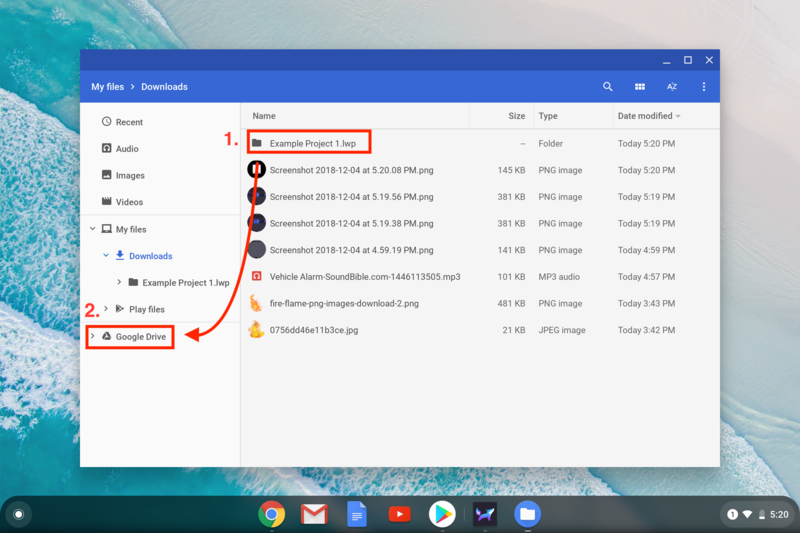 How do I export .LWP to Google Drive? First, open the project in Lightwell that you'd like to export to Google Drive. With your project open, go to the top right corner and you will see a Menu button (three lines). When you export your project in Lightwell, it will save your LWP file in your Downloads folder. Name you LWP file and press Select. 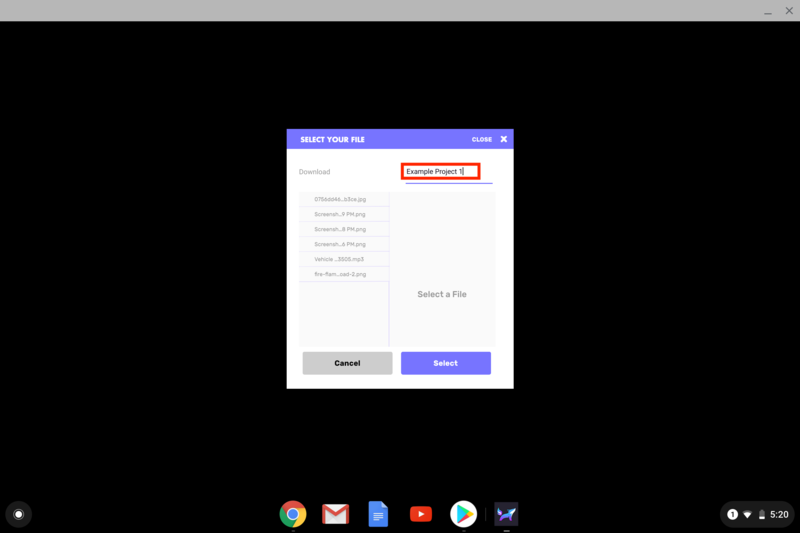 This will automatically save your project to your Downloads folder on your Chromebook. 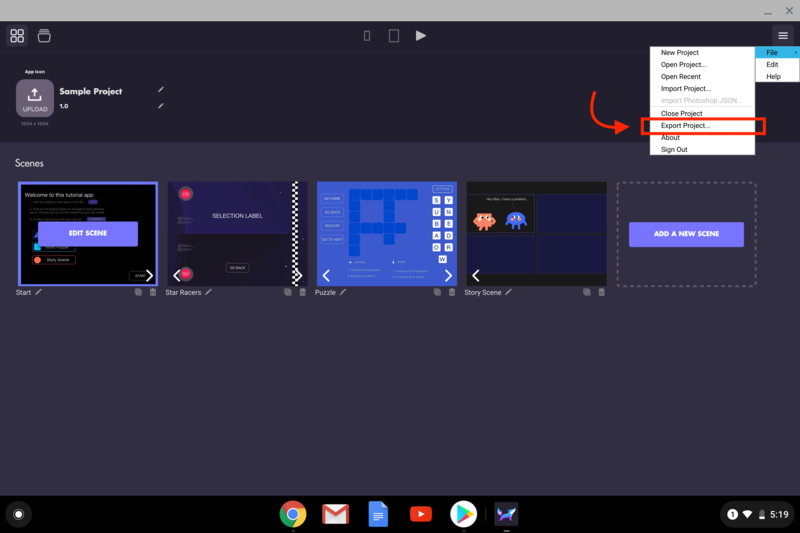 Go to your launch dock and open your Downloads folder. From there, you'll see the LWP file that you've exported from Lightwell app. Now, select the LWP file and drag it into the Google Drive folder on the left-hand side.